Momo7 ips how to root please? Discussion in 'Ployer' started by richard HR, Dec 14, 2012.
running JB it is a nice thing with little issues about battery charge indicator lying, and despite being generally pretty fast, hangs on settings sometimes. any pointers would be appreciated please guys! 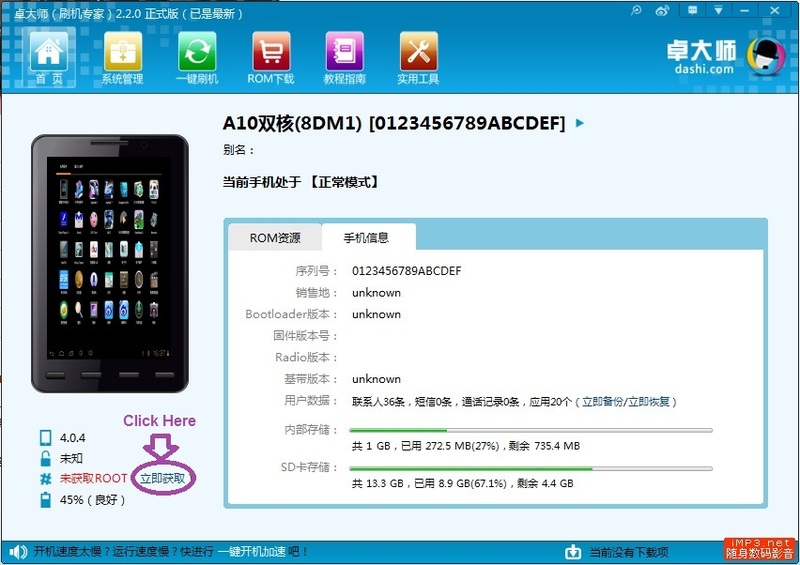 One method that works with the Momo11 Speed Rk3066 is to enable USB debugging, install ADB drivers by installing PDAnet or MoroBoro on host PC, then install and run ZhouDaShi (in chinese!) on host PC which can root/unroot with the buttons on the last menu tab. On the Momo11 you need to unroot THEN root or something like that as it's comes kind of semi-rooted. Not sure about the Chinese though hope its obvious! Gives me much more control over native app bloatware. 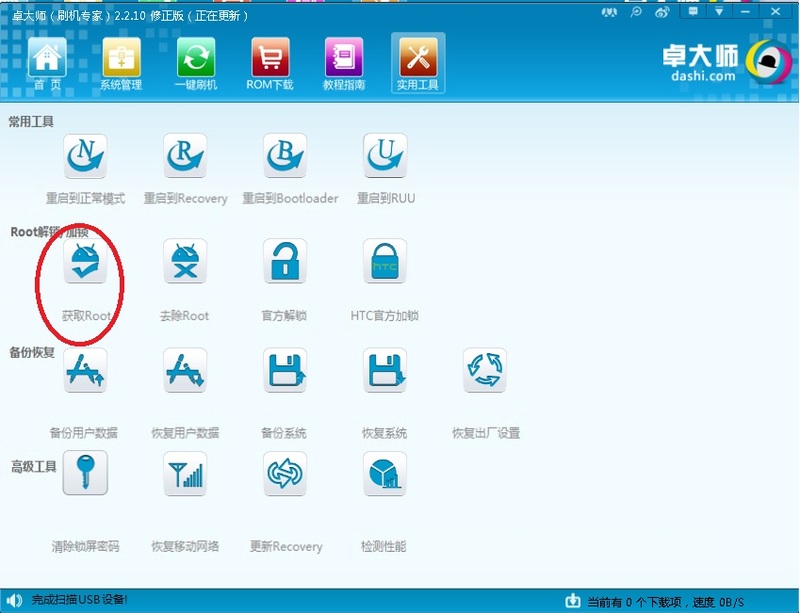 Just been trying to follow the instructions to root my Momo 7, however chickened out when I got to the chinese download and don't know how to proceed from there. Any chance of a bit more explanation of ZHuoDaShi set up please? Hey mate sorry not to have seen yr post before this. Bit surprised as this was my first ever post on a forum when I started that thread! I can't give a detailed set of instructions as to how to do this as I read no Chinese either. It does however seem to be set up in the same way as a well put together English language application. That is to say that the buttons you need to press to run the application are where you would imagine them to be. It worked for me ( I pressed 'x root' - unroot? Then ' tick root' and hey presto- rooted). I then used another app (the very useful ' link2sd' from play store) which needs root to work to freeze this app and other uninvited ones from the stock system apps ' just in case'! Hope that helps- it worked on the first attempt for me, so don't think much to worry about?